The apron has the RAW® logo emblazed across the vinyl with the words “Hemp plastic adjustable rolling machine” accompanying the logo. The kingsize adjustable rolling machine has been well thought out and designed in such a way that it will give you years of happy rolling. RAW® - Accept No Substitutes. 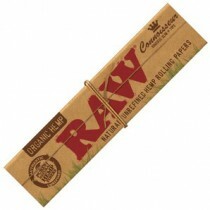 We Sell Only Genuine RAW® Rolling Machines. RAW® have brought out their new Raw 2 way roller or to give it its proper name, the RAW Hemp King Size Adjustable Rolling Machine 110mm for rolling papers which are kingsize or kingsize slim size. 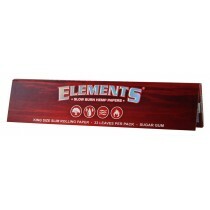 The actual rolling machine is made in Germany from Hemp based eco plastic and has a lever on the side of the roller to adjust accordingly. At the flick of the lever you can swap from your kingsize papers to slims while the black double thick high quality apron will produce a beautiful looking rollie.